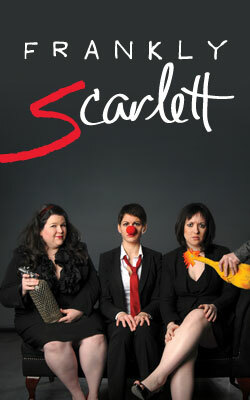 I spent far too much time today working on our invitation layout. I think I have landed on two fonts I am happy with, even though I would have told you sixth months ago that of course our names would be in script, because that is just What Is Done. The fonts are Testarossa NF and Fontleroy Brown. But we’re still stuck on how to write the rest of the invitation. The first draft I showed Collin said something like “…share their joy at their wedding.” He said, “Can we get the word ‘awesome’ in there?” And I agree the invitations will feel more “us” if we use that word. Even if it will, in ten years, read like if my parents had put “far out” on their wedding invitation. Sometimes being dated is worth it. I like that too. And let it be known I encourage these additional suggestions!! Can I just say I love your fonts and the art nouveau graphic? YES. Yes, you can say that, because lord knows I will never get back the HOURS of my life I spent looking for those. I think you and Mr. Beagle need to have a chat about invitations. He spent 2 1/2 hours alone just looking for a little icons of a church, hotel bed, bride and groom, and clinking champagne glasses for our map. The two of you can commiserate. Although I’m still partial to the squandered inheritance haunted wedding wording you posted last week. yes, i vote for this one. it doesn’t sound presumptuous that the wedding will be awesome as it does when awesome comes directly before wedding. just that awesomeness will be present. does that make any sense!? It totally does. I didn’t even consider it being presumptuous! Because I am presuming our wedding will in fact be awesome. But I might as well hide that. Yah, I also vote for this one. I _love_ the haunted version. It hits the pain of the whole traditional wording when you don’t have parents around square in the jaw. Thanks, but I just can’t go through with it. It’s a touch too much for real life. Fun to make a mock up for, though. I like in celebration of their awesome marriage. I like this too! But isn’t it even more presumptuous to say our marriage will be awesome? The font and design are gorgeous. And I think you should use “Awesome” before everything. Awesome Robin and Awesome Collin invite Awesome You to join in the Awesome Celebration of their Awesome Marriage. So. My vote is “none of the above” including, “no you can’t use awesome.” Yep, I’m all “ew, I don’t like any of these, let me do it better.” But actually I just think this is important. And while God-I-love-polls, I want to just share some ideas and maybe some of it is food for thought. –more importantly, I think the wedding invites should reflect you + Collin. Is that true of the unorthodox use of the word “awesome.” I feel like, that is Collin’s word/Collin’s thing. Obviously, the story of how this came about seems as if it’s his thing, and you know, “second of all, awesome.” But maybe it’s come to be more both of your thing and I’m just not away. I guess if there was a Robin word in the invite it’d be… “rad” or “mackdaddy”. Use them both? Use neither? I don’t know. Just throwing this idea out there. Robin and Collin invite you to celebrate with them as they unite in one awesome marriage. Robin and Collin invite you to join them in an awesome celebration of love at their mackdaddy wedding. Robin and Collin invite you to join in the celebration of their love, which is awesome and true, at their wedding. 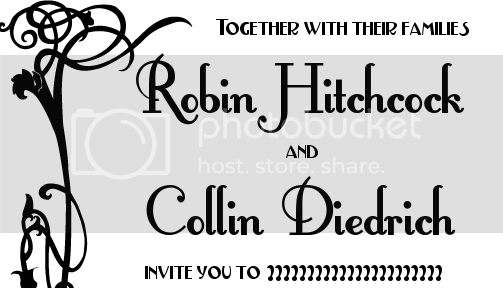 Robin and Collin invite you to join in the celebration of their love. It will be awesome. Hope this helps. No matter what though, don’t stress too much. Just one decision of many getting you to your awesome, rad lives together. I have made my peace with my children making fun of my wedding. I am a fellow APW reader, just found you the other day (thanks for sharing your story with the APW community), and I’m trying to figure out my invitation wording right now too! I want relatively formal but I hate the way the traditional formal wording makes it sound like I am property of my parents and being given as a gift to an established gentlemen… heck, we’re both grade students, I have a last name too, and he has parents too! But at the same time, I want people to know my parents are hosting and I don’t want my grandma to die of a heart attack when she gets my invitation! Anyway, I love that you’re using “awesome” and just wanted to add my two cents. How about: “invite you to join in the celebration of their awesome love”. I don’t even think you have to say “wedding”; people will know it’s your wedding. I think it’s fair to say your love is awesome (because you know that, or else you wouldn’t be getting married), rather than the potentially presumptuous “awesome wedding” or “awesome marriage”, although I’m sure both of those will be awesome too! I can’t wait to see what you decide! Ach, the thing where the bride doesn’t have a last name in the traditional invitation creeps me out! Welcome to HitchDied! I have never read my parent’s wedding invitation. I have never gone back and re-read my friend’s wedding invitations. They are pretty and they provide information and then you throw them away-unless you are a hoarder. Do whatever you want. However-love the design and the font-goes well with your reception site. Maybe you could add an “awesome” in there somewhere?